Item ships within 1-Business Day by FedEx with Tracking #! Condition: Certified Refurbished by Dell. This computer is classified as manufacturer refurbished; most of the units that we receive were sold and returned because the wrong product was ordered, sent to the wrong address, the customer didn't like it when they received it or whatever. When they are returned to the factory they have the OS re-installed and the units cannot be sold as new. While most units will be like new, some units might have a very slight cosmetic blemishes, like small scratches or other very slight cosmetic defects. Warranty & Service: Dell 3Yr Next Business Day On-site Service Warranty Starting from 08/2014. I HAD PAID ON 31 MARCH 2017, it is really best laptop. Tell us what you think about DELL PRECISION M6800 i7-4900MQ 4GHz 16GB 512GB, share your opinion with other people. 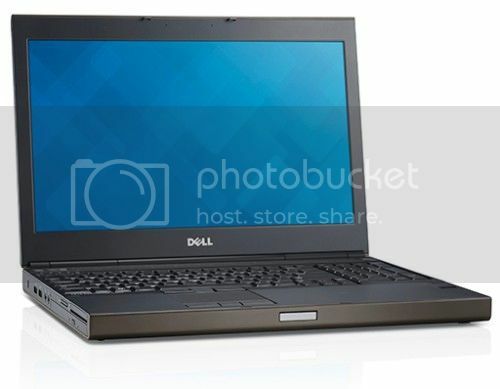 Please make sure that your review focus on DELL PRECISION M6800 i7-4900MQ 4GHz 16GB 512GB. All the reviews are moderated and will be reviewed within two business days. Inappropriate reviews will not be posted.